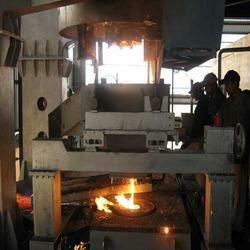 Molten metal from Steel Melt Shop is to feed material for Continuous Casting Machine of Billets, Blooms and Rounds. 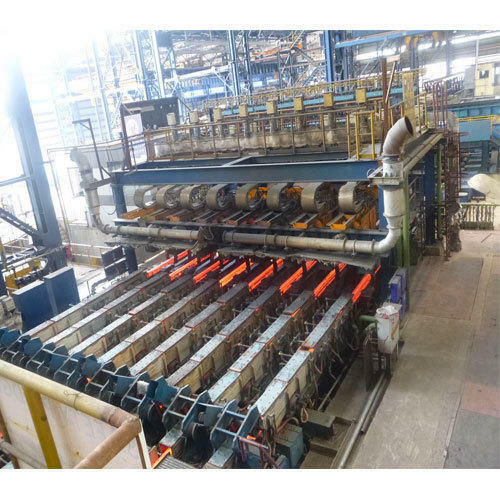 These are then sent to various Rolling Mills for subsequent Remso offer custom made Continuous Casting Machine according on user’s request & is used for continuously cast plain carbon steel, low carbon, medium & high carbon, alloy steel and stainless steels into the square Billet, Bloom, Bar, the cross section of 80×80, 100×100 or 120×120, 150×150 mm with length of 6m/11m operated by automatic control system. 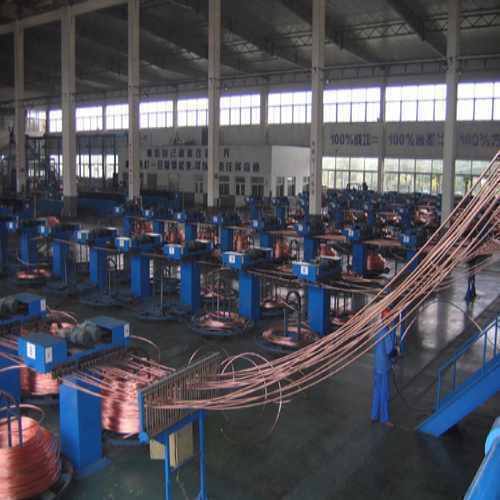 We can provide single strand, double strands and multiple strands CCM as well as straightening machine, automatic cutting machine, billet cooling bank, billet spreader, molten steel spreader and other auxiliary devices and facilities such as soft water treatment and water cooling system. The main functions of the tundish act as a steel reservoir between the ladle and the mold, and in the case of multi-strand casters to distribute the liquid into the molds. The first item is of special importance during ladle change. 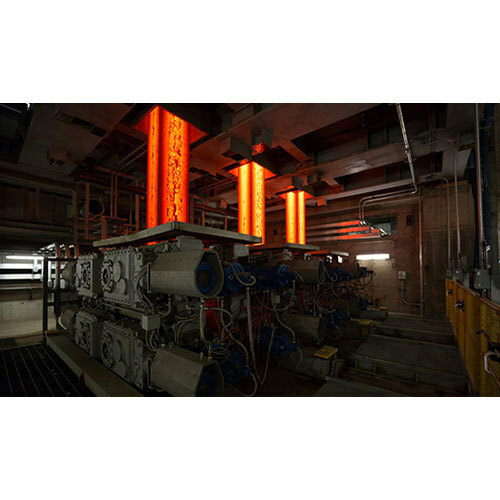 In addition to being a reservoir of liquid steel, the tundish is more increasingly used as a metallurgical reactor vessel aimed at improving control of steel cleanness, temperature, and composition. 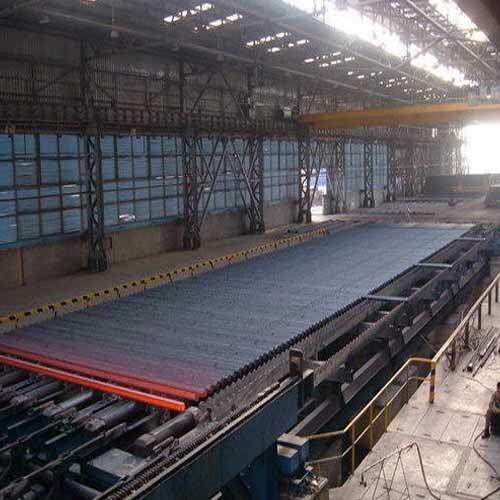 This ensure that the steel is free of the inclusions, i.e., from macro- and micro-inclusions, and the liquid is distributed into the mold(s) in such a way that the steel in each mold is homogenous. The transfer system is composed by a bridge beam that spans over the removal area and translates across it. 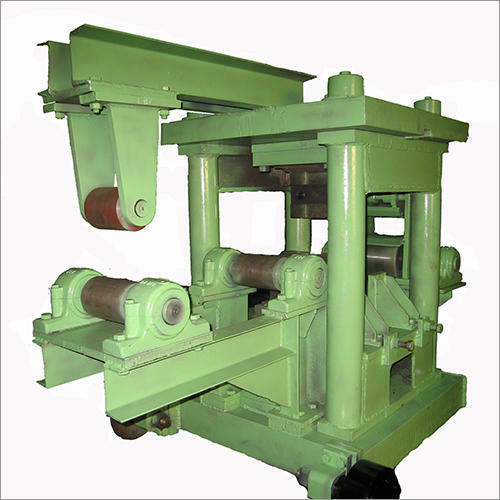 Roller Table: They are made using high quality materials in compliance with required norms and guidelines. 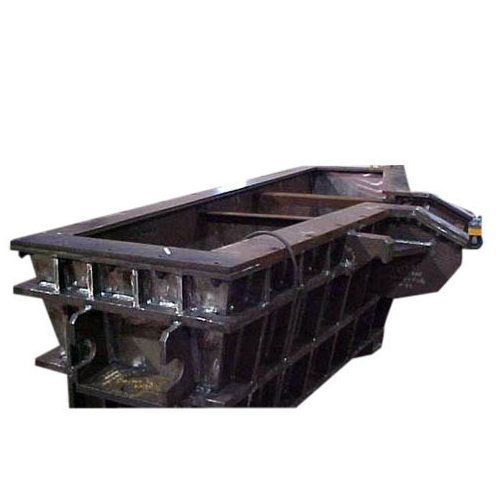 They are used for transporting and guiding the hot slab / billets from cutting area up to transfer area. 1. Low maintenance costs due to individual drives. 2. Cover Plates are provided for each drive and bearing. 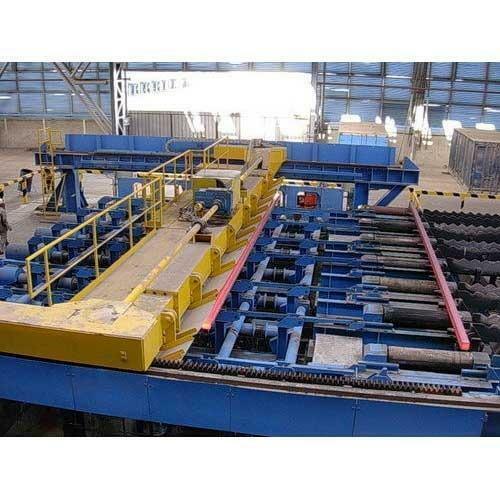 Roller table is the main transportation equipment in steel rolling.It serves for transporting Slab/ Billet and linking with other process. It consists of torch entry roller table, run-out roller table, discharge roller table, hot charge roller table and so on. The ladle turret is mounted at the reinforced concrete base or Rigid structural steel Plateform. 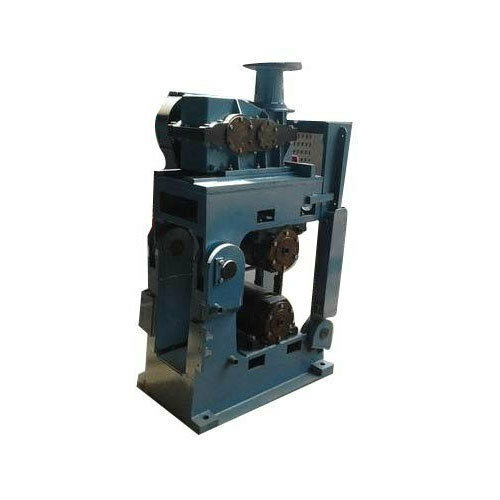 It is intended for receiving the molten steel provided by revolving furnace to transfer the ladles to and from the turret. 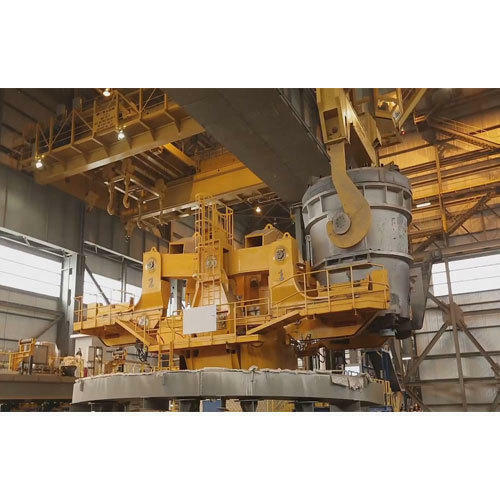 This equipment supports the ladles and its hydraulic system with rotary arms will be incorporated to allow the ladles to be raised and lowered whilst maintaining a horizontal position. And strain gauge load cell also is incorporated into this equipment to allow the weight of the ladles to be continuously monitored. Additionally, its transmission mechanism adopts variable frequency AC motor. Emergency response mechanism is available to ensure the safety of operators in an emergency. And manhole is also available, which ensures easy maintenance. We are a ladle turret manufacturer based in India. 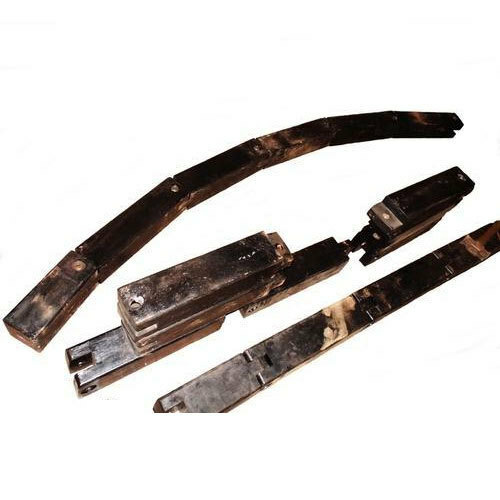 We offer an extensive line of products, including metal straightening machine, hydraulic walking beam cooling unit, tundish car and much more. 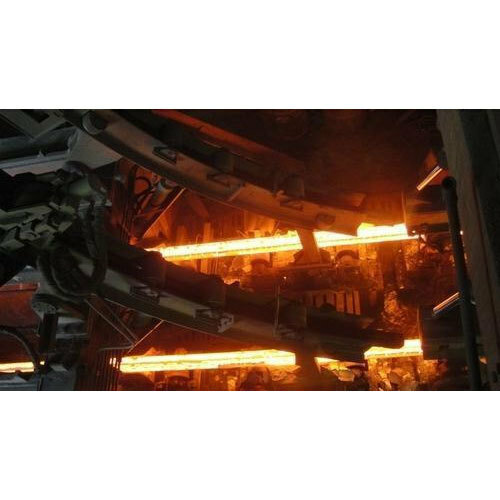 The Two Strand 4.0 M / 7.0 M Radius Continuous Billet Casting is manufactured by applying prevailing industrial technology standards which makes these products highly functional during usage. These machines are designed by our skilled designers and technocrats. More over, the raw materials which we use is acquired from the most reliable resources which ensures the outstanding qualities in the final product. We offer this product in market leading prices and is quality checked prior to release in the market. 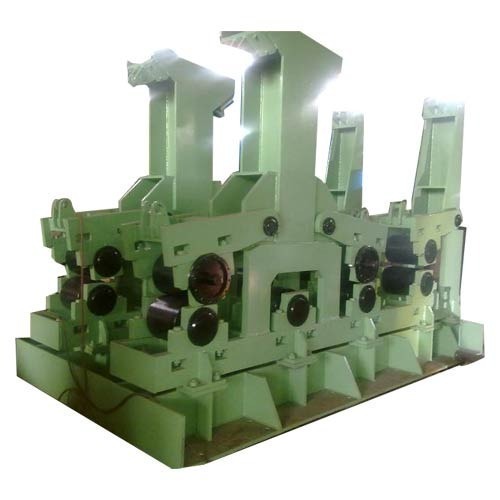 We also deal in Mold Table for Continuous Casting Machine. We are highly recommended in the market for its wonderful features such as shape, shell thickness and defect-free internal and surface quality. Our quality analysts with years of experience ensure the quality of the product using the yardstick of parameters prevailing in this industry. These products can be availed at pocket friendly prices. We are involved in manufacturing and supplying a premium quality gamut of Cooling Bed And Skid Bank. This offered assortment of product is engineered using high quality raw material as per the defined industry norms and standards. Further, these cooling beds are also specifically designed so as to ensure perfect handling of bars of smallest to maximum size being rolled. These products offer desired adjust-ability to size and shape of profiles while using appropriate cooling rate that ensure minimized distortion. These are offered to our clients at affordable prices. 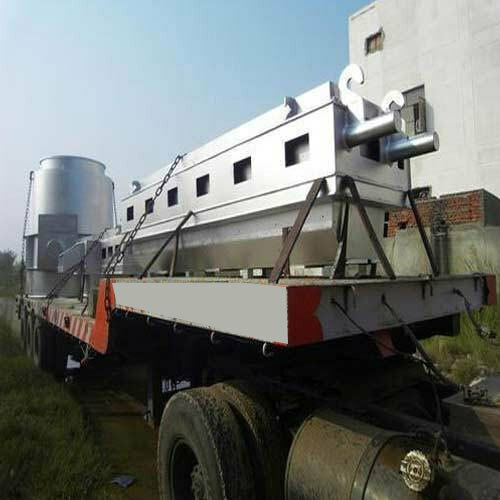 Remso offers supper quality Automatic Rack Cooling Bed for uniform natural cooling of Billet or TMT bars for further transporting the same in a phased manner. Rack will be operated by AC drives with speed control mechanism to suit the different rolling speed. The rake profile is to be machined to close tolerance; movement of the racks will be through eccentric cam mechanism mounted on the drive shaft. 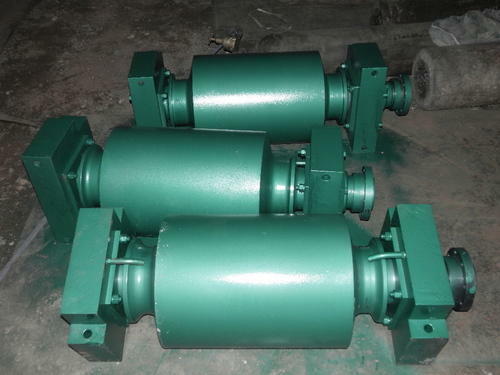 Suitable gear box will be used for drive at suitable speed. The mechanism of our cooling bed assures that the bars are uniformly positioned over the toothed racks. 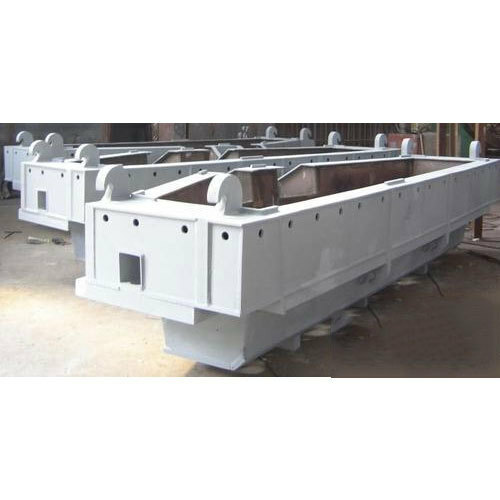 Our cooling bed is designed considering the finishing mill stand of the mill and cooling time required for the various sizes of the bar. Cooling bed designed keeping in consideration smallest and maximum size of bars that need to be rolled from finishing mill stand as well as cooling time needed for different sizes of bars. Drive for movable rack mechanism comprising motors driving two parallel sets of drive shafts. 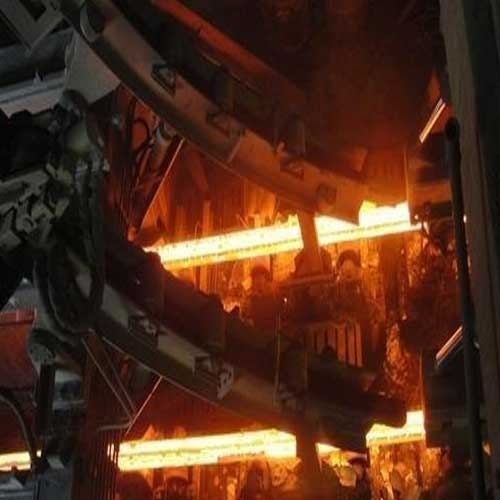 Continuous casting of steel is a widely used process and an important step in the production of steel.The tundish is required to deliver the liquid steel to the moulds evenly and at a designed throughput rate and temperature without causing contamination by inclusions. 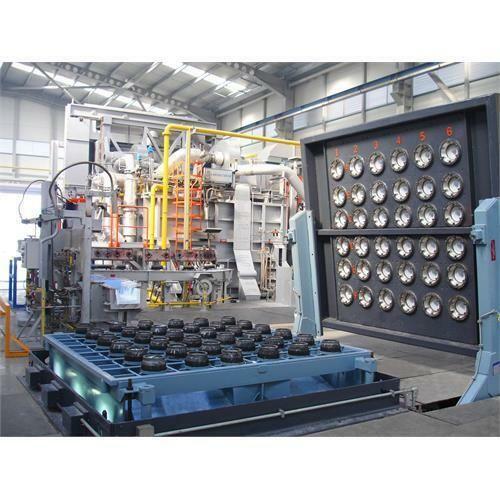 The number of moulds is normally 1 to 2 for a slab casting machine, 2 to 4 for a bloom casting machine and 2 to 8 for a billet casting machine. The delivery rate of liquid steel into the mould is held constant by keeping the depth of the liquid steel in the tundish constant. Since the tundish act as a reservoir of liquid steel during the period of ladle change periods and since it continues to supply liquid steel to the moulds when the incoming liquid steel has stopped due to ladle change, it makes the sequence casting by a number of ladles feasible. 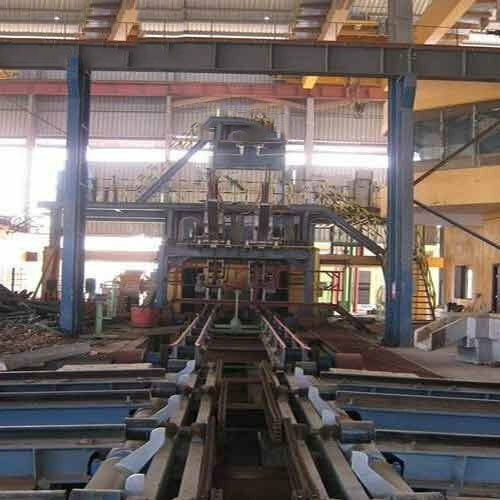 The tundish car serves to transfer the tundish from the preheating position to the casting position.Utilities are supplied by means of power track.The welded traveling frame serves as base frame for the tundish car. The traveling unit consist of gear with electric VVVF motor and brake is designed for rapid and slow travel. The covers protect the tundish car against radiation and The tundish car is equipped with a lifting device which consists of consists of two hydraulic cylinders. 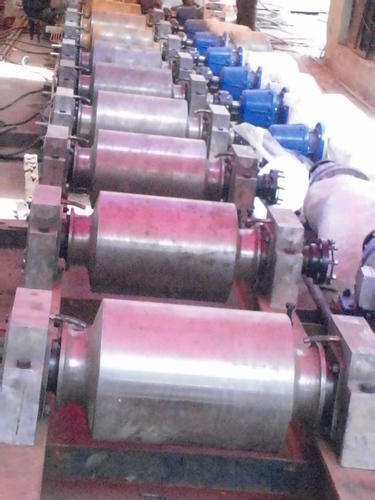 A centering device serves to center the shrouding tubes.Weighing is performed by means of load cells which are installed in the axles of the support rollers on the lifting frame.steel splashes. 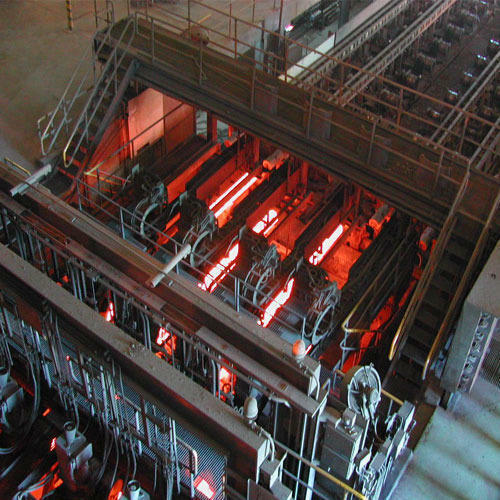 Looking for “Continuous Casting Machine”?